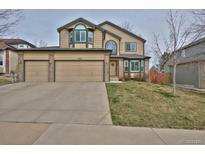 Find Superior, CO Homes for sale. View Photos, Maps and MLS Data Now! Rock Creek - 18 feet vaulted ceiling. Main floor study. MLS#9701767. RE/MAX PROFESSIONALS. Rock Creek Ranch - OPEN HOUSE SATURDAY 4.27.19 from 11am - 1pm with Melissa Thornton. MLS#3530851. LOHAS Realty LTD.
Rock Creek Ranch - This gem won't last long, book your showing today! 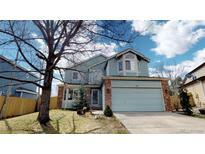 MLS#7749601. Redefy. Rock Creek Ranch - Features include 4 generously sized bedrooms upstairs, a main floor office, formal living & dining, an expansive updated kitchen with large walk-in pantry, over sized laundry room, large bonus room in the basement, & an over-sized 3 car garage. MLS#2363565. COLORADO LANDMARK REALTORS. Watch wildlife, listen to the birds, Open House Sat 12-3 Check out virtual tour https://my.matterport.com/show/?m=bSY8GPxFPog&st=5000&ts=3Open House Sat 12-3 MLS#5960125. White House Realty and Investments LLC. Walkout basement with great space for entertaining stepping out to a huge back yard abutting open space MLS#3578598. RE/MAX of Boulder. Rock Creek Ranch - Solar system is owned. Fantastic location! MLS#5383453. WK Real Estate. CONVENIENT access to Boulder, DIA & Downtown Denver. MLS#5433047. RE/MAX ALLIANCE. Rock Creek Ranch - One story up is a peaceful haven: your roomy master en suite, which is set back from the other bedrooms and features a walk-in shower with bench, dual sinks and bonus vanity with built-in drawers. MLS#7112525. Spaces Real Estate. Rock Creek has miles of trails, 2 pools, tennis courts, parks and open space. Low HOA. Welcome home! MLS#4900142. Coldwell Banker Residential 14. Rock Creek Ranch - This beautiful 4 bedroom, 4 bath home includes a fully finished walk-out basement, custom deck, newer furnace, humidifier, AC, hardwood through-out main level, brand new carpet upstairs, updated kitchen with granite and Kitchen Aid stainless appliances, new exterior paint, one block to pool and school, all BVSD schools, come be a part of this lovely community. MLS#6096106. Staufer Team Real Estate. Enjoy the many hiking trails & parks in the immediate area as well as the local shopping & dining. MLS#3374677. COLDWELL BANKER RESIDENTIAL 24. Rock Creek Ranch - Entry level in Rock Creek does not mean condos anymore MLS#7459434. 8z Real Estate. Convenient access to 36 and public transportation. MLS#5687328. WK Real Estate. Rock Creek Ranch - Perfectly located, it is close to Eldorado K-8, a number of trails, Flatirons Mall, and HWY 36.You definitely don't want to miss out on this home. MLS#7436413. Keller Williams Preferred Realty. Rock Creek - It has low maintenance stucco exterior and hail resistant tile roof. MLS#9100037. NGROW. Rock Creek Ranch - Enjoy the many hiking trails and or parks in the immediate area. MLS#5744393. Keller Williams Preferred Realty. The unfinished basement is ready for future expansion or storage. MLS#5211740. Coldwell Banker Residential 14. Rock Creek Ranch - Buyer to verify all square footage information. MLS#5907860. HomeSmart Realty Group. Rock Creek Ranch - Seller is willing to offer a concession for work needed with the deck. MLS#7217310. TRELORA. Rock Creek Ranch - Ideal location close to Eldorado K-8, trail heads, area pool, tennis courts, Highway 36 access, Flatirons Crossing mall and lnterlocken Business park MLS#9097073. RE/MAX of Boulder. Rock Creek Ranch - Short walk down the block to Autrey Park Offering Open Space, Trails, Lakes, Dog Park, Bike Park and More!! ! MLS#3359557. COLDWELL BANKER RESIDENTIAL 56. Rock Creek Ranch - Call today to view this home and make it your own! MLS#7295917. First Summit Realty. Rock Creek Ranch - MLS#9612588. Pink Realty. So hurry in to see this luxury home in the stunning community of Calmante. Photos of Model. MLS#4372780. WK Real Estate.